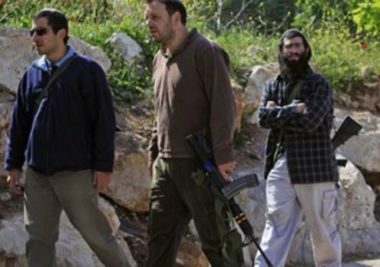 A group of extremist illegal Israeli colonists attacked, Tuesday, many Palestinians while picking their olive trees, in the area between Talfit and Qaryout villages, south of the northern West Bank city of Nablus. Ghassan Daghlas, a Palestinian official who monitors Israel’s illegal colonialist activities, said dozens of extremist colonists invaded the Palestinian orchards, and attacked many villagers picking their olive trees, in addition to attempting to force them out of their orchards. Daghlas added that the attack was carried out by more than 150 colonists, who came for a number of illegal colonies and outposts, which were built on private Palestinian lands. He also stated that such attacks and violations always escalate during the olive harvest season, adding that the latest attack was part of numerous similar assaults this season alone. It is worth mentioning that the Illegal colonists also frequently pick Palestinian olive trees and steal the produce, in addition to bulldozing and uprooting trees. On Tuesday morning, a group of colonist settlers invaded Palestinian agricultural lands in Bruqin village, west of Salfit in northeastern West Bank, and uprooted 39 olive and almond trees owned by a local farmer.